Blue Harvest Apparel is an up-and-coming women’s apparel store that offers both quality and unique products. Specialized in premium denim, simple basics and one-of-a-kind treasures with an assortment of your Colorado necessities. Blue Harvest Apparel satisfies the lifestyle needs of a women who not only considers herself unique, but is concious of her mind, body and spirit as well as being unafraid to express her individual personality through her style. 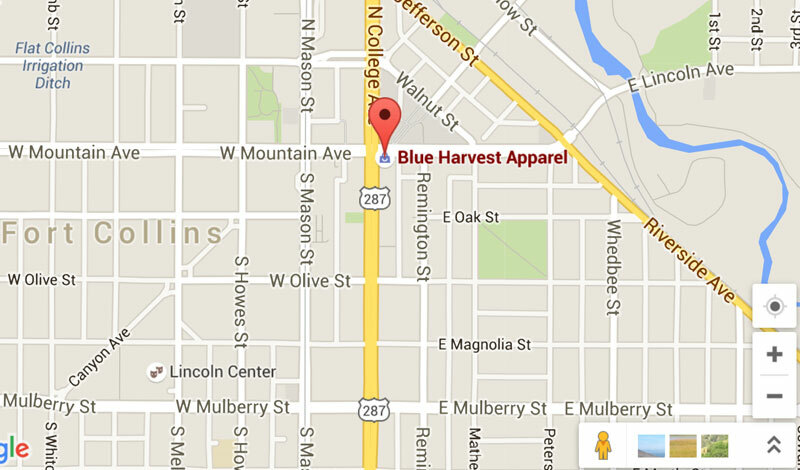 Blue Harvest is located in downtown Fort Collins, Colorado. Owners and sisters Mckenzie Hoffman and Jennifer Hoffman created a truly rare shopping atmosphere. Their entrepreneurial spirit and love of commerce enable them to promote a timeless, Colorado-chic lifestyle look. Currently the Hoffman girls also own and operate Starry Night espresso café located in Fort Collins as well.